Welcome to Crafted Colour - Practical Colour Theory for Craft series, which is aimed at helping you develop your colour confidence and craft with colour. Enjoy reading and don't forget to take part in the colour challenges! Welcome! This article is a part of Crafted Colour – Practical Colour Theory for Craft series, which is aimed at helping you develop your colour confidence and craft with colour. Today you will learn why you need to know about colour and a little background and history. Colour Theory is a simple set of rules using a logical arrangement of colours. Most branches of colour theory arrange colours around a wheel but there are others that use a triangle or square. For this mini course we’ll be using a colour wheel. Why do you need to know about Colour Theory? 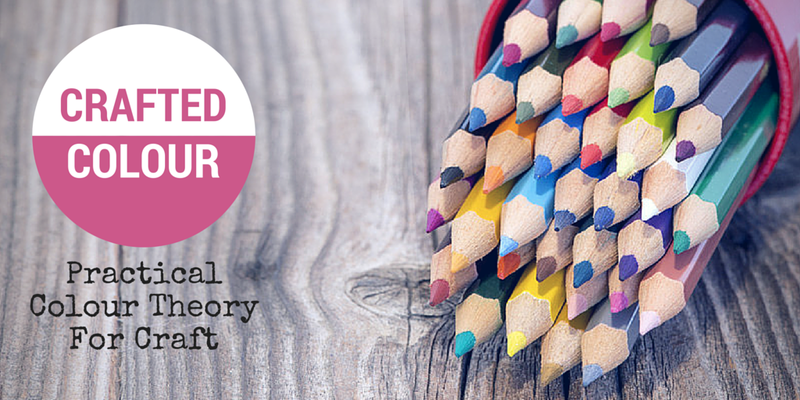 A working knowledge of colour theory can give your craft projects the WOW factor! 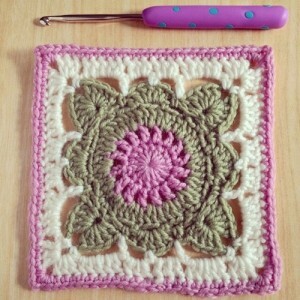 Developing an eye for colour will help you get your craft projects noticed. It can help you get into juried shows and galleries and help your work sell. Above all this course will help you fall in love with colour and make others fall in love with your crafty creations. Newton assigned musical notes to each colour. In 1666 Sir Isaac Newton created the first recorded colour wheel based on how light refracts through a prism. His arrangement of the colours into a wheel fascinated the artists of the era. Since then there have been many different versions, based on topics such as biology of the eye or the brains perception of colour. Today there are three main types of colour wheel. 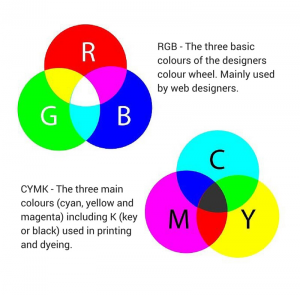 The printers colour wheel, based on CMYK (Cyan, Magenta, Yellow and Black), the web or graphics colour wheel using RGB (red, green and blue) and finally the artists colour wheel using RYB (red, yellow and blue). In the first part of this series I will be using the artists colour wheel to demonstrate basic colour theory. Welcome! This article is a part of Crafted Colour – Practical Colour Theory for Craft series, which is aimed at helping you develop your colour confidence and craft with colour. Today you will learn about the colours which make up the colour wheel. 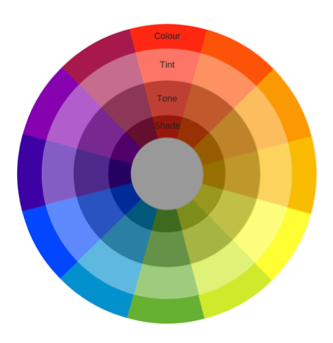 There are three parts to Colour Theory; the Colour Wheel, Colour Values and Colour Schemes. Today is about the Colour Wheel and tomorrow I’ll talk about Colour Values. Red, blue and yellow are the Primary Colours of the artist’s Colour Wheel. Primary Colours are bright and fun. They are often found in kids toys. Mixing equal quantities of any two Primary Colours and the result is a Secondary Colour. 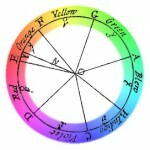 The Secondary Colours of the artist’s Colour Wheel are orange, green and violet. Secondary Colours as a group don’t have a particular feeling associated with them. Most individual colours do evoke their own feelings and I’ll delve into that later in the series. By mixing a Primary Colour with its related Secondary Colour you get a Tertiary Colour. For example you can mix red with orange (which is a mix of red and yellow) and get a colour most commonly known as red-orange. Of course you could get creative and give this colour a fancy name like Scarlet Flame. You can also play with the proportions of Primary and Secondary Colours in the mix, resulting in an infinite range of colours. 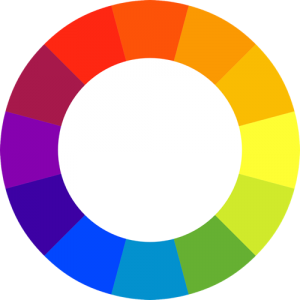 On the Colour Wheel Tertiary Colours are red-orange, yellow-orange, yellow-green, blue-green, blue-violet and red-violet. Notice the Primary Colour is always listed first in the name. So, now that the basic (and very dry) stuff is out-of-the-way, join me for Part 2 of Colour Theory, known as Colour Values or Tint Shade and Tone. Welcome! This article is a part of Crafted Colour – Practical Colour Theory for Craft series, which is aimed at helping you develop your colour confidence and craft with colour. Today you will learn about tints, shades and tones of colours in the colour wheel. The next part of colour theory is about Colour Values. Colour Values show how light or dark a colour is. Adding white to a colour creates a Tint. Add white to blue and you get light blue (shocking I know *insert eye roll*) and yes, pink is a tint of red, although I prefer a tint of red-violet. Add black to any colour to create a Shade, and add black to blue and you get…navy blue or dark blue. Using black or white is not the only way to change a colour. Often adding black to a colour may cause it to shift towards an unwanted colour. Add grey to a colour minimises the shift and still affects the intensity of the colour. This produces a Tone. I don’t have an example of a colour change for the Tone variant, but I’m sure you get the idea. Using a Colour Wheel which shows Tints, Tones and Shades makes it easier to select colour schemes for your craft projects. Next up we learn about Warm and Cool Colours, the one of the rules associated with the third part of Colour Theory, Colour Schemes. The really fun stuff is getting closer! Welcome! This article is a part of Crafted Colour – Practical Colour Theory for Craft series, which is aimed at helping you develop your colour confidence and craft with colour. 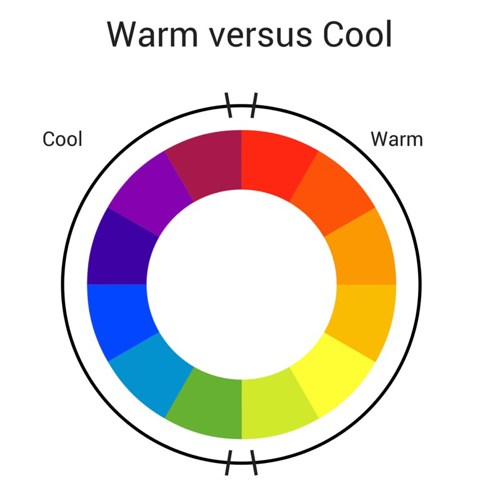 Today you will learn about warm and cool colours. 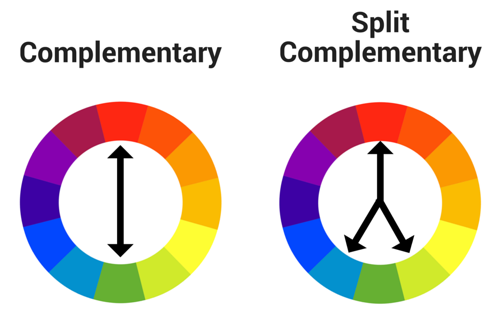 The colours in the Colour Wheel can be separated into two types. Warm colours and cool colours. Warm colours are created with red, orange and yellow and are active and full of energy. They remind us of sunlight, heat and happiness and seem to appear closer and stand out more readily. On the other side of the colour wheel are the cool colours, made with blue, green and violet. Cool colours are calm, soothing and sometimes sad and remind us of water, sea and sky. Both types of colours should be used when creating a colour scheme. For example, if your want your craft project to appear warm and full of energy it is important to use small amounts of cool colour to create balance and contrast. 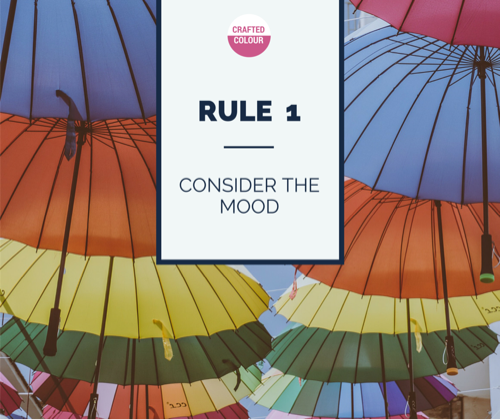 When creating a colour scheme or colour palette for your project it is important to consider the mood you want to convey. Knowing about Warm and Cool Colours is the first step. Did you just see me sneak in the first rule of creating a colour scheme ? In case you missed it. Next up are two types of Complementary Colour Schemes. Welcome! This article is a part of Crafted Colour – Practical Colour Theory for Craft series, which is aimed at helping you develop your colour confidence and craft with colour. Today you will learn about complementary colours. 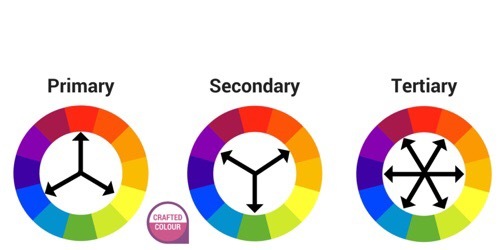 So by now you should be familiar with the parts of a Colour Wheel. Now I’m going to show you some…not rules but I’ll call them guides to help you create a Colour Scheme. Colours that are directly opposite each other on the colour wheel are known as Complementary Colours. For example Red and green, violet (or purple if you prefer) and yellow, blue-green and red-orange. Complementary colours are considered high contrast, creating visual tension. They must be used carefully, especially as pure colours. Use complimentary colours when you want something to pop! You’ll find a lot of Complementary Colours in product packaging on the supermarket shelves. Split-complementary colours are considered gentler versions of complementary colours but still retain their “pop” factor. In addition to the main colour it uses two colours immediately adjacent to its direct complementary colour. For example red and green are complementary colours, green with red-orange and red-purple are split-complementary colours. A split-complementary colour scheme is considered the easiest and most effective of all the combinations. 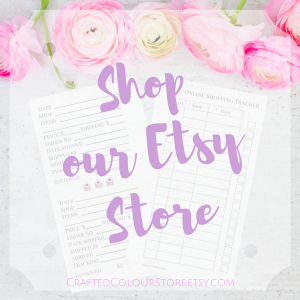 This colour scheme, teamed with a neutral colour, or a tint of the main colour, is my go-to choice for most of my craft projects. Next up we’re looking at Analogous and Monochromatic colours.